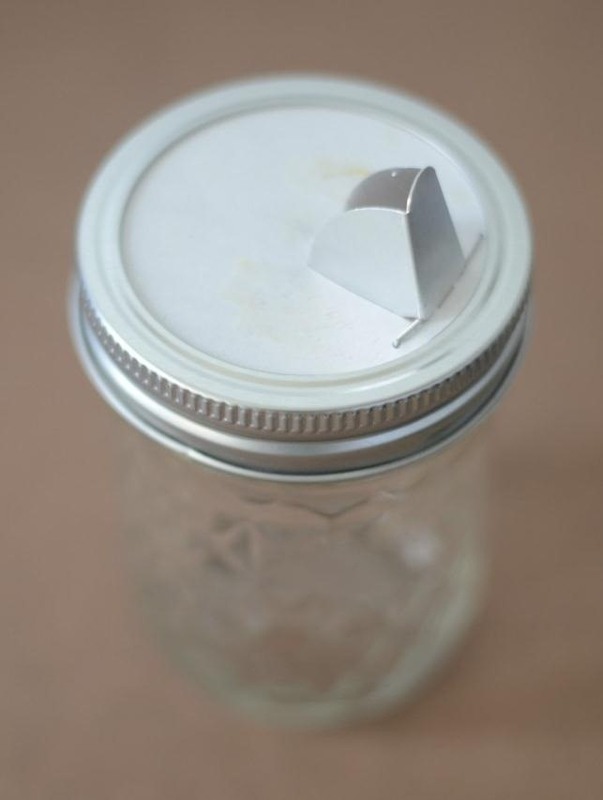 Mason jars are a DIYer's best friend, nearly on par with duct tape and paper clips. Why? 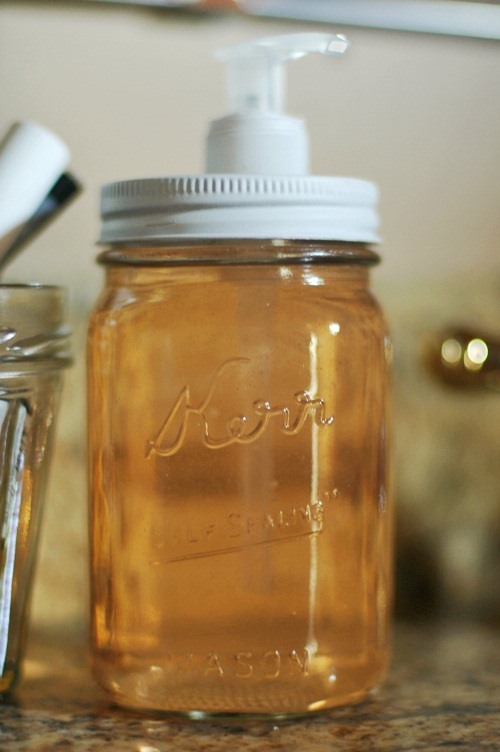 Because you can use mason jars for so many things besides just canning and drinking, and I'm not talking about other obvious uses like basic storage containers or miniature terrariums. 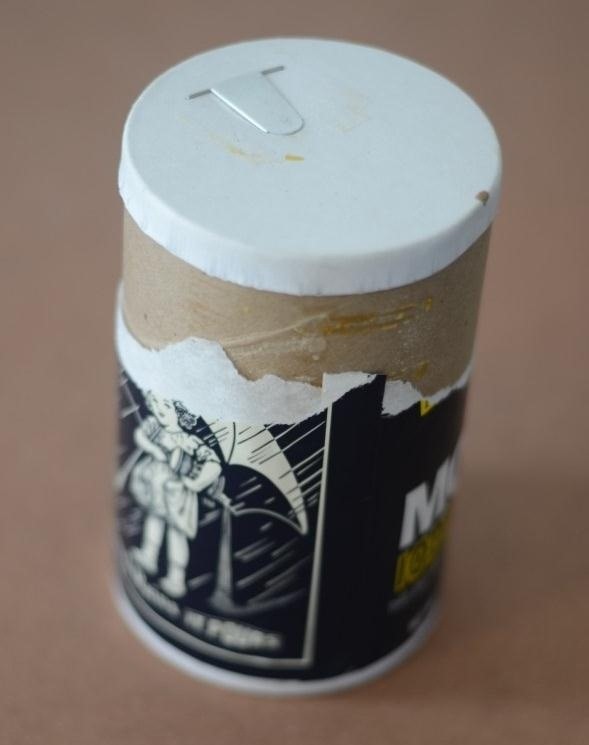 I'm talking about MacGyver-style ingenuity. 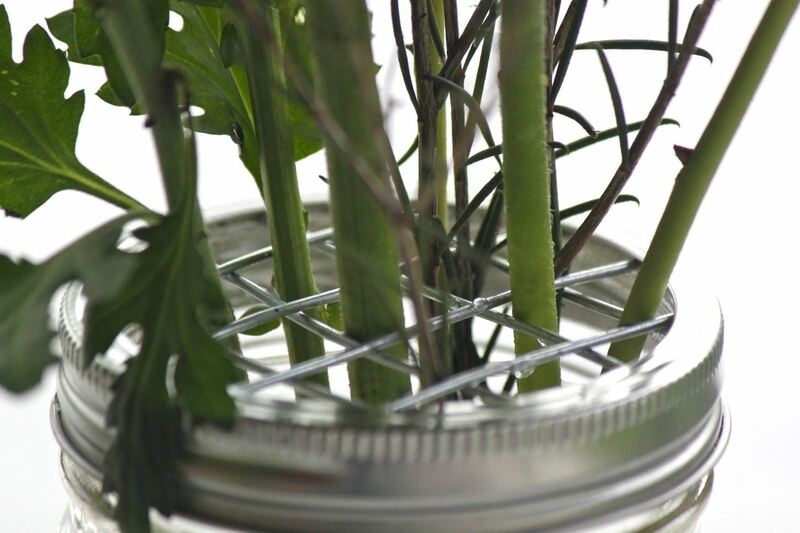 With a little creativity, the uses for those jars are practically endless. 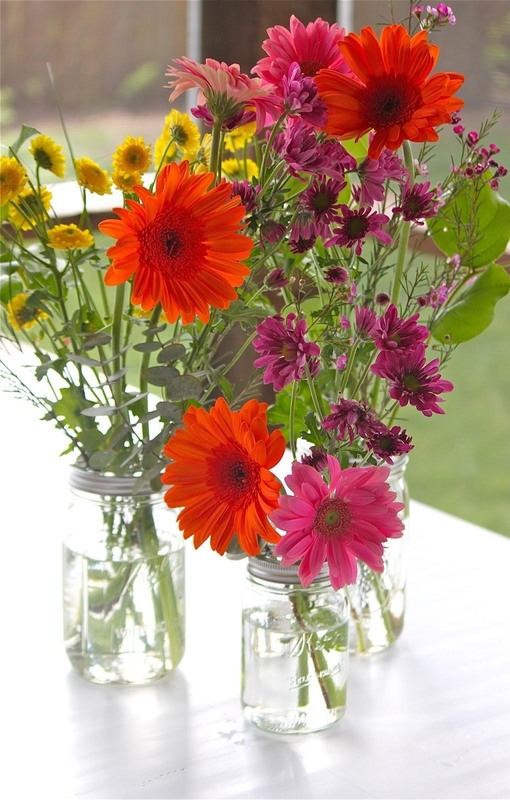 Here are just ten examples of clever uses for mason jars. Which ones are your favorites? Are you an avid camper? 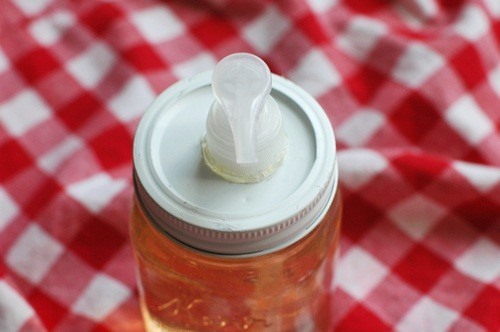 Why not turn that old jar in your cupboard into something useful for your outdoor adventures? 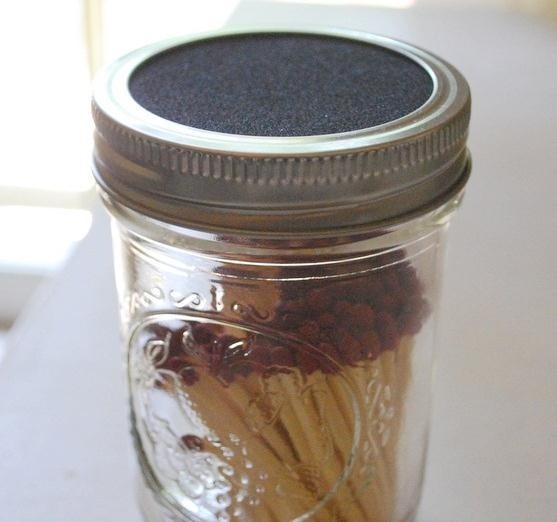 Craftaholics Anonymous has a tutorial that shows how to make a match stick holder complete with the striking pad on the lid. This is a great project for all of you phillumenists out there. Also check out The Burlap Bag's version. Everyone has spice shakers in their cupboard, but they're often times very small. 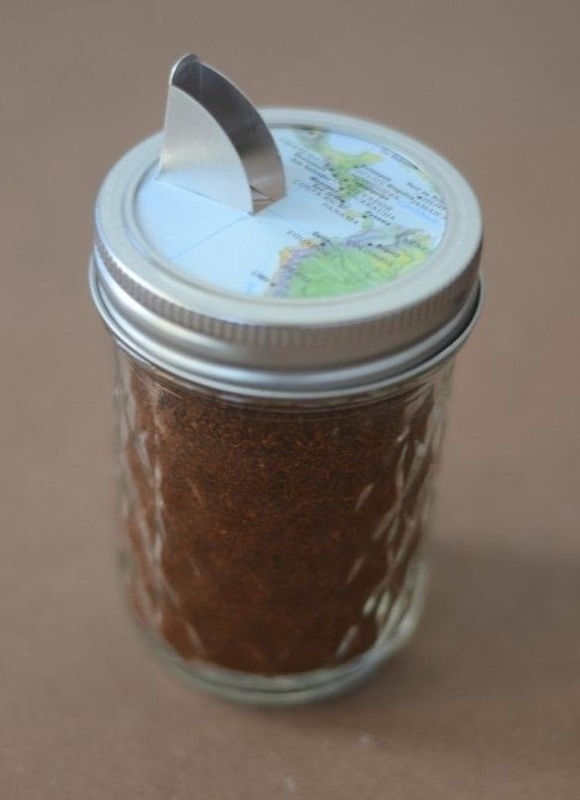 The Burlap Bag has an awesome way to combat this, combining those little aluminum salt container spouts with mason jars to make large spice shakers, perfect for bulk spice storage. If you've got a girlfriend or wife (or are a female yourself), then you likely have lots of makeup materials such as cotton swabs and wedges. If only there were a cooler way to hold all these things… Lovely Little Details made an awesome bathroom holder out of mason jars that's perfect for holding all of those bathroom odds. 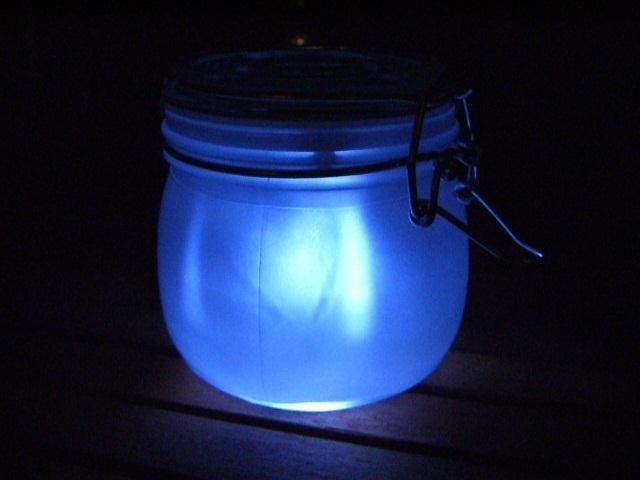 How about a mason jar use that'd spark up your garden or driveway? 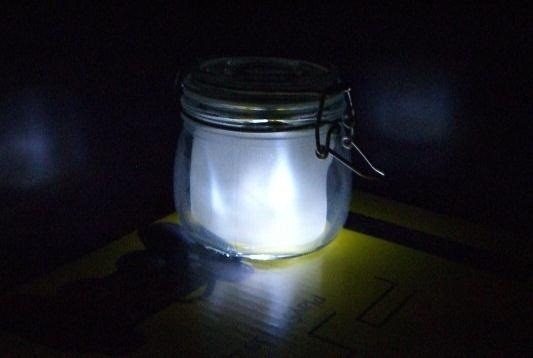 Cre8tor has a great tutorial up that shows you how to turn an old mason jar into a solar-powered LED light. I think these would be great for lining a driveway. 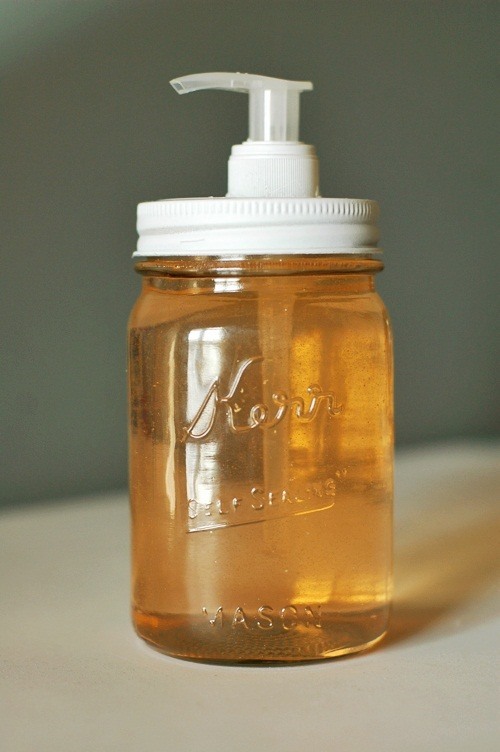 When it comes to using dusty, old jars creatively, Fine and Feathered has come up with a truly awesome use—soap dispensers. 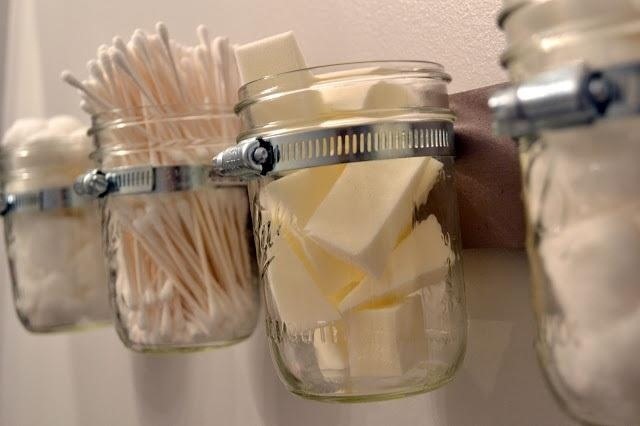 These are great because you could make them any size you want depending on the size of your kitchen or bathroom. 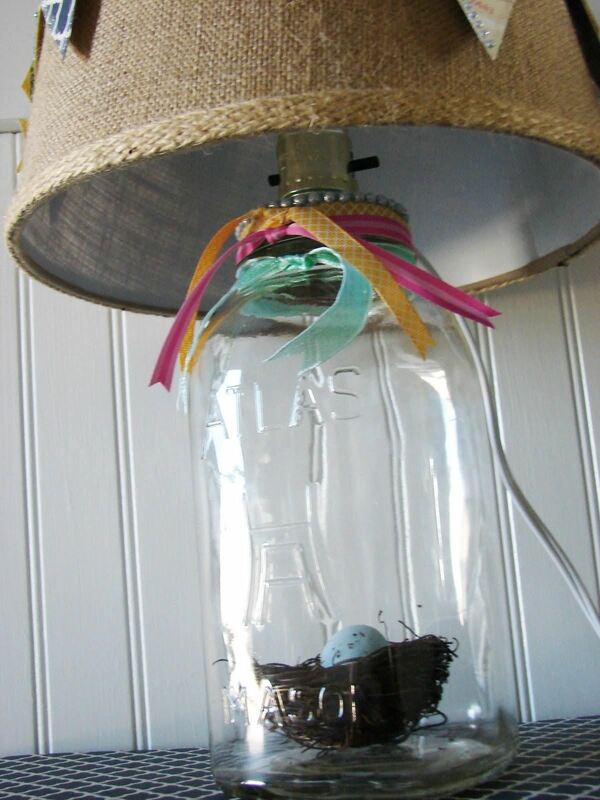 What could be more creative than making your jar into a lamp? Redberry Barn shows off their tutorial on how to do just that, and the results are quite fantastic. 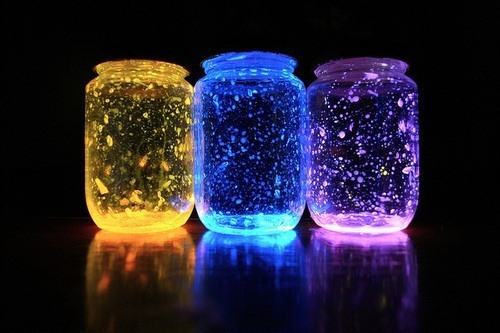 I would've never thought to turn my jars into lamps, and their tutorial shows just how easy it is. Yes... frog lids. 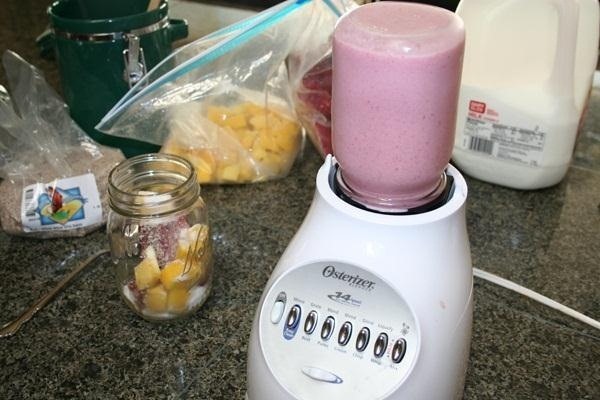 They're easy to make, but have a very clever use. What are frog lids, you ask? Well, they're used to make flower displays spread out more evenly and hold their shape. Thus, you get an awesome professional look and feel for cheap. Smashed Peas and Carrots has a tutorial showing you how to make this quick money saver. 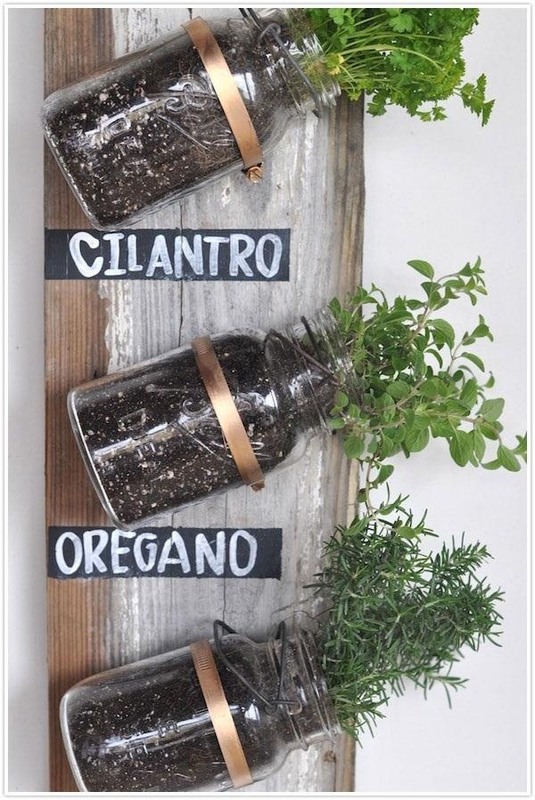 Keeping the green theme alive, a very good way to make use of old mason jars is to build a cool herb garden for your kitchen. Camille Styles shows you how to make a hanging herb garden that's cheap and very cool looking. 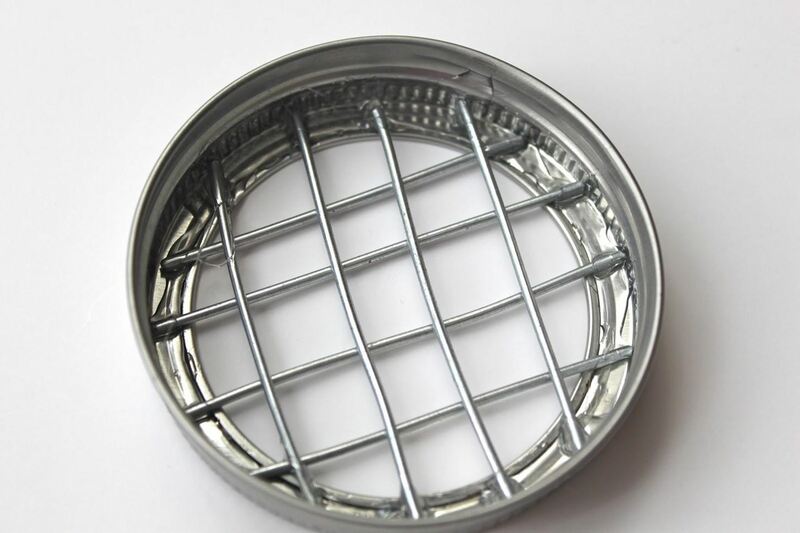 You could decorate this any way you wanted to make it fit in your kitchen, so this is good for any DIYer out there! For the last idea, I've decided to include something for all of the parents out there. How often have your young children complained about having a nightlight? A lot, I'm sure. 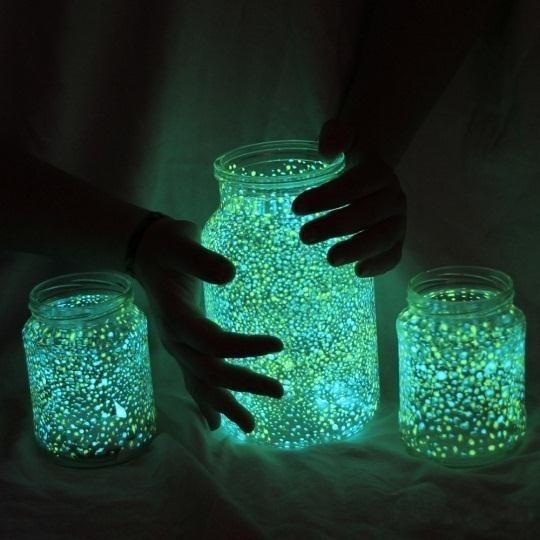 Latest Handmade has you covered with this awesome glow jar nightlight made from a jar and glow paint. I dare you to look at this and not want to make it! 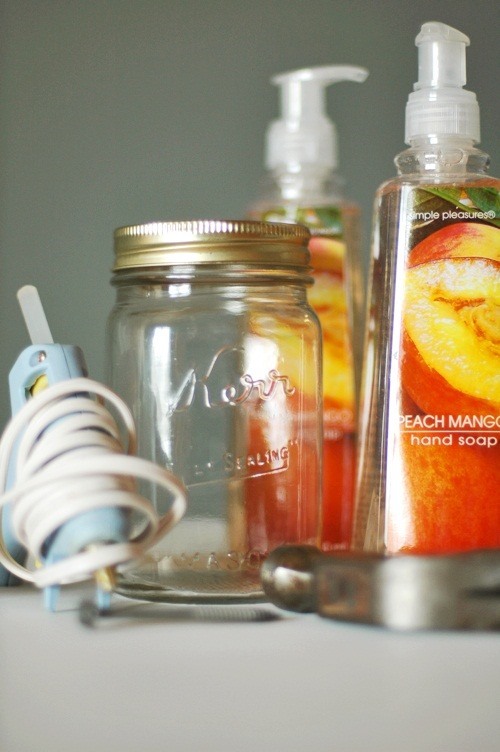 These are just some of the best and creative DIY uses for mason Jars. Can you think of anything better to use them for? Sound off below!